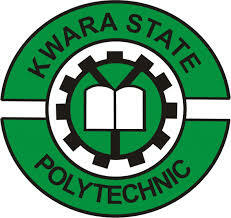 Kwara State Polytechnic (KWARAPOLY) National Diploma, ND Admission List of Candidates Offered Provisional Admission for 2018/2019 Academic Session. This is to inform all candidates who applied for admission into the Kwara State Polytechnic (KWARAPOLY) National Diploma, ND programmes for 2018/2019 academic session that the admission list has been released. Prospective candidates can now follow the outlined guidelines to confirm their admission status online. Kindly log on to Kwara Poly admission portal via https://kwarapolyportal.org/applogin.php. Successfully admitted ND candidates are advised to go on the Joint Admission and Matriculation Board (JAMB) Central Admission Processing System (CAPS) portal to ACCEPT or REJECT their admission offer. Thereafter Proceed to Print out their JAMB Admission Letter Online.